A new kind of zoo has opened its doors in the Dutch capital Amsterdam. No monkeys, elephants or lions here, but millions of micro-organisms – invisible to the human eye. Often associated with illness and disease, microbes are also essential for our survival, and that is where the idea for the Micropia museum came from. One video installation, for instance, shows just how much bacteria lives on a mobile phone, by highlighting in blue the areas covered in bacteria. Another interesting exhibit is the microbe body scanner. Visitors can choose a body part and see just how much and what type of micro-organisms or bacteria it contains. Bolder visitors can even test the “Kiss-o-Meter” and be told how many microbes are exchanged between two people when they kiss. Another fast-forward video shows mould growing in all directions in search of the shortest route to its food. 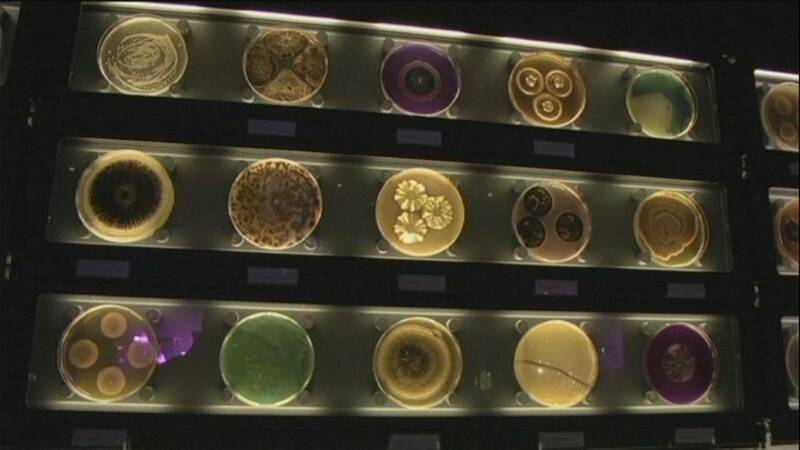 The Micropia museum is not just limited to micro-organisms such as bacteria. Visitors can also see living ants and large-scale graphic images of their behaviour or get an idea of how fast decay sets in by watching a fast-forward series of pictures of a kiwi fruit ageing. A museum experience that will forever change the way visitors see the world around them.